CC Countdown to Infinite Christmas Sale! 12 DAYS of AMAZING SAVINGS, Our LONGEST SALE of the Year! ALL 3 CC Store Locations Are OPEN X-Mas Eve 9AM - 3PM. SAVE 25% - 80% Off Store-wide at ALL 3 CC Store Locations. (See Additional Sales that Run All 12 Days Below the 4 Phase Discounts Listed Here). Thursday 12/13 - Sunday 12/16. *25%-80% Off Nearly Everything in the Store for PHASE ONE of the SALE 4 Days, Start Shopping Now! 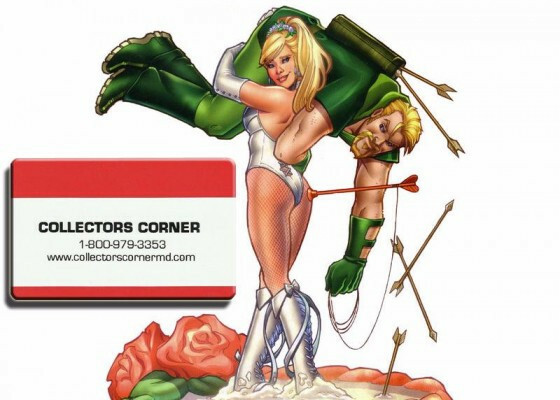 *25% Off ALL Action Figures, Statues & Collectibles Not Dated within 30 Days. *25% Off ALL Trade Paperback & Graphic Novels Excluding New This Week..
*25% Off ALL GUNDAM MODELS Not Dated within 30 Days. *25% Off ALL Role Playing Games, Miniatures (Painted & Unpainted) & Board Games Not Dated within 30 Days. *20% Off ALL Role Playing Games, Miniatures (Painted & Unpainted) & Board Games Dated within 30 Days. *50% Off All Single Trading Cards & Bulk Trading Cards. *25% Off ALL Video Games & Consoles Not Dated within 30 Days. *25% Off ALL Bagged and Boarded Back Issues Dated within 30 Days. 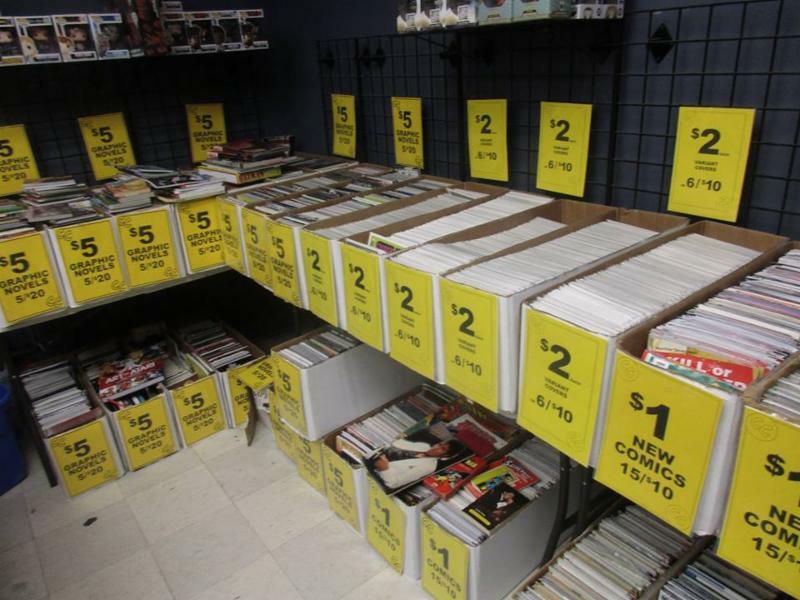 *80% Off ALL Bagged & Boarded Back Issues Not Dated within 30 Days. *35%-80% Off Nearly Everything in the Store for PHASE TWO of the SALE 4 Days, Start Shopping Now! *35% Off ALL Action Figures, Statues & Collectibles Not Dated within 30 Days. *35% Off ALL Trade Paperback & Graphic Novels Excluding New This Week..
*35% Off ALL GUNDAM MODELS Not Dated within 30 Days. *35% Off ALL Role Playing Games, Miniatures (Painted & Unpainted) & Board Games Not Dated within 30 Days. *25% Off ALL Role Playing Games, Miniatures (Painted & Unpainted) & Board Games Dated within 30 Days. *35% Off ALL Video Games & Consoles Not Dated within 30 Days. *35% Off ALL Bagged and Boarded Back Issues Dated within 30 Days. Friday 12/21 & SUNDAY 12/23. *40%-80% Off Nearly Everything in the Store for PHASE THREE of the SALE 3 Days, Start Shopping Now! *40% Off ALL Action Figures, Statues & Collectibles Not Dated within 30 Days. *40% Off ALL Trade Paperback & Graphic Novels Excluding New This Week..
*40% Off ALL GUNDAM MODELS Not Dated within 30 Days. *40% Off ALL Role Playing Games, Miniatures (Painted & Unpainted) & Board Games Not Dated within 30 Days. *40% Off ALL Video Games & Consoles Not Dated within 30 Days. *40% Off ALL Bagged and Boarded Back Issues Dated within 30 Days. *50% Off Everything in the Stores! In Line Get a CC Holiday Tote Bag Stuffed with Over $25 in Merchandise, including but not limited to Graphic Novels, Comics & Collectibles. Plus Each Bag will Contain A X-Mas Eve $10 Gift Certificate Good for use towards any purchase of $100 or more, usable with Sale Discounts Applied. *Some Exclusions May Apply, Cannot be used or combined with other Coupons, Event Certificates or Wednesday Bucks. Valid for Use at All 3 CC Store Locations. Valid December 24th Only. *50% Off Nearly Everything in the Store for X-MAS EVE /FINAL PHASE of the SALE 1 Day, Finish Shopping Now! *50% Off All Sealed Trading Card Games, Booster Packs, Decks, Boxes (@ Full MSRP) Not Dated within 30 Days. *50% Off ALL Action Figures, Statues & Collectibles Not Dated within 30 Days. *50% Off ALL Trade Paperback & Graphic Novels Excluding New This Week..
*50% Off ALL GUNDAM MODELS Not Dated within 30 Days. *50% Off ALL Role Playing Games, Miniatures (Painted & Unpainted) & Board Games Not Dated within 30 Days. *50% Off ALL Video Games & Consoles Not Dated within 30 Days. 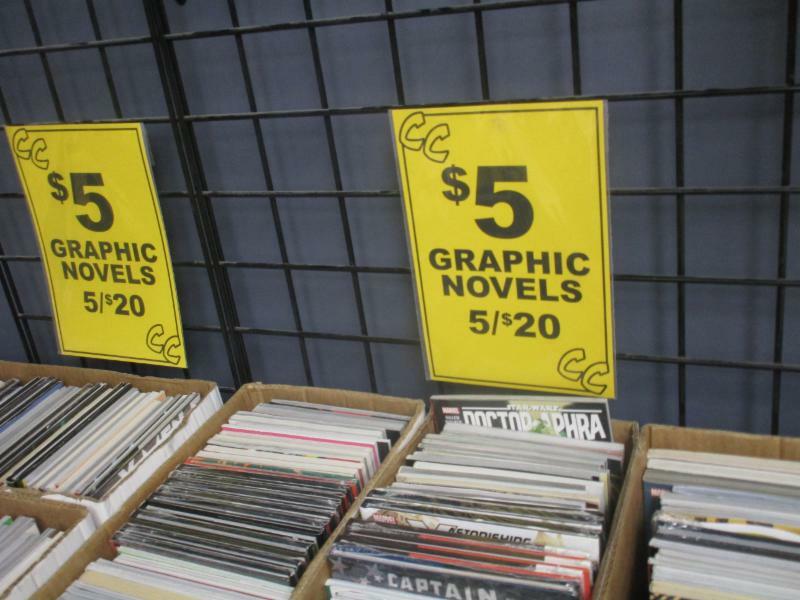 *50% Off ALL Bagged and Boarded Back Issues Dated within 30 Days. ALL Hardcover Used Trade Paperbacks $10 Each or 4 for $30. 80% Off All Bagged & Boarded Variant Covers Not Dated within 30 Days. 50% Off ALL FUNKO POPS Priced 11.99 - 14.99 Not Dated within 30 Days. 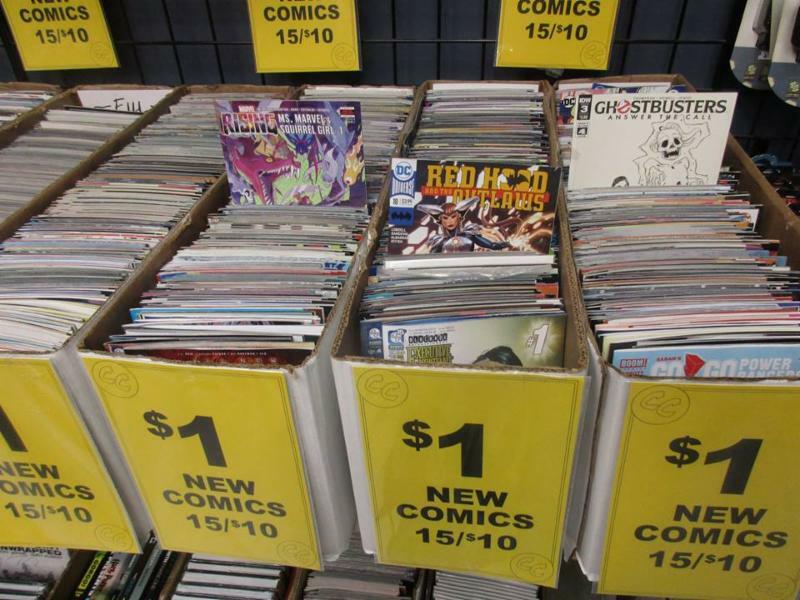 $1 Comics Only 50 Cents EA or 3/$1. PARKVILLE LOCATION ONLY - 50% Off ALL Clearance Toys, Games, Pops & Colored Sticker Clearance Items will be 50% Off Already LOW Clearance Prices. *Excludes Subscription Box, Subscribed Titles and Special Orders, Pre-orders, Items on Hold, New Comics, Candy, Snacks & Refreshments, All Sealed Trading Card Game Products - Magic the Gathering, YuGiOh, Pokemon, etc, All Collecting Supplies & Accessories for Comics and Gaming, Dice, Playmats, Maps, FUNKO POP and Sealed Blind Box, Blind Bag Figures, Video Games and Consoles, RPG Miniatures - D&D Miniatures, Pathfinder Miniatures, and Reaper Bones Miniatures, Cards Against Humanity, Exploding Kittens, Pinback Buttons, Keychains, Lanyards, Stickers, Gundam Models, Posters & ALL Clearance Items PLUS any Back Issues, New & Vintage/Used Merchandise or Restocked Items Dated on Price Sticker Within 30 days of Arrival in Store.. If you can't decide what to get when you stop in, we still have the perfect deal for you! Starting Thanksgiving until December 24th, we have the following gift card bonuses! **BONUS Gift Cards with BONUSES, CANNOT be Redeemed until Dec. 26th. 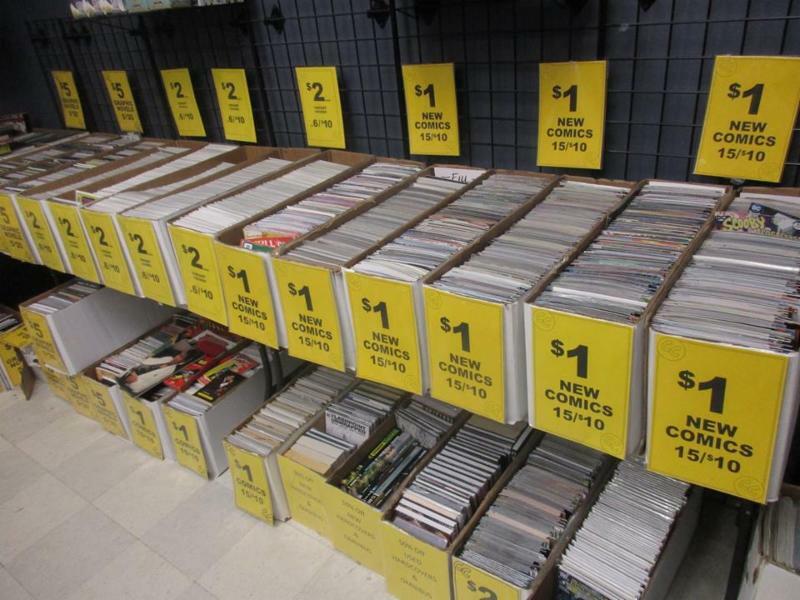 All Convention/Clearance Deals are Located in the back of the Parkville Store by our DVD's and Video Games Sections.